I have really got back into sewing recently and it feels good! For today's DIY I want to show you how easy it is to take in a skirt, I'm not entirely sure if I my method is the official one but it worked and isn't too difficult. 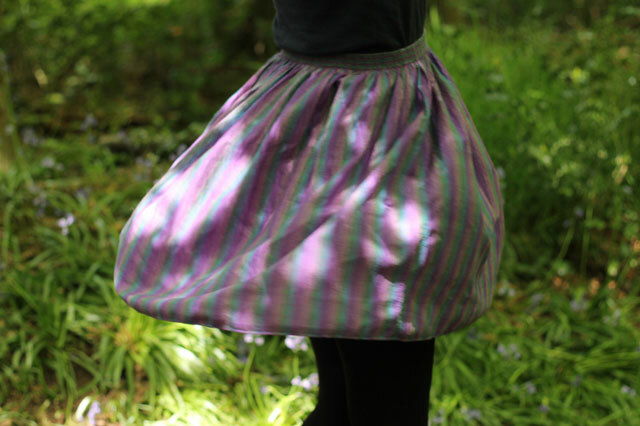 I found this skirt in a charity shop ages ago whilst looking for fabric for this necklace project and couldn't believe my luck when I realised it was 100% silk and only £3. It was a funny length and too big but I just knew with a bit of TLC it could be quite a beauty. 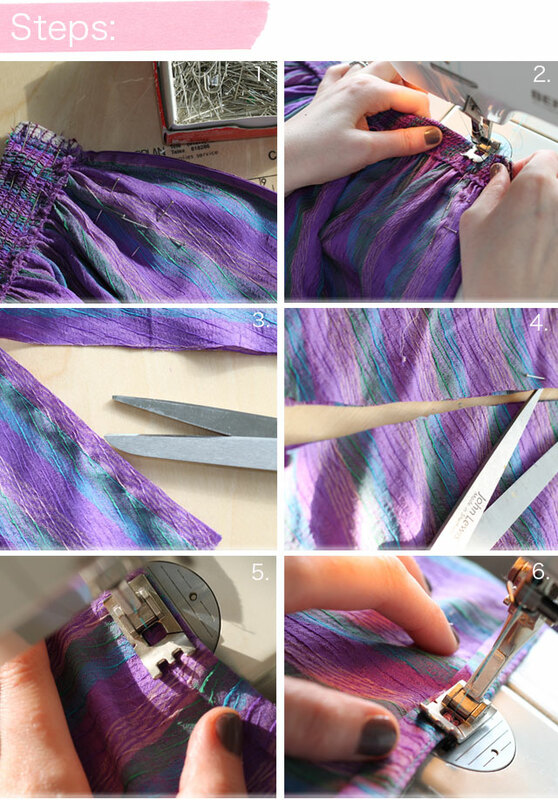 The steps below are for taking in a simple elasticated waist skirt, this skirt only had one seam, if your skirt has two seams, just repeat all the steps on both sides. Step 1. 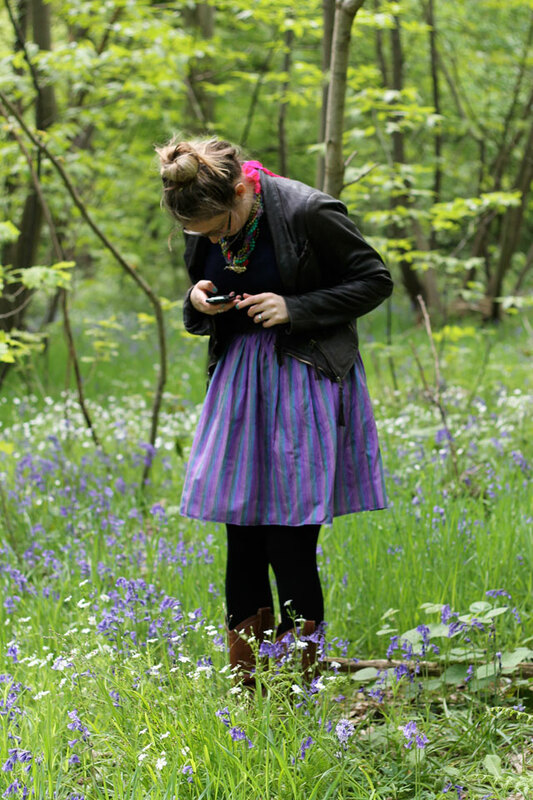 Work out how much you want to take your skirt in by and pin. Make sure you pin all the way down the length of the skirt too. If you like you could mark your line with tailors chalk. Step 4. Decide on your length. I found the easiest way to do this was measure the skirt against an existing one. Once happy with your length pin around the base of your skirt and the cut. Step 5. Fold and press a 1cm hem and then stitch with a row of straight stitching. Step 6. Fold and press again and then stitch another row of straight stitch. Give everything a good press and you are done. Want another sewing project, have a look at this easy embellished t-shirt.